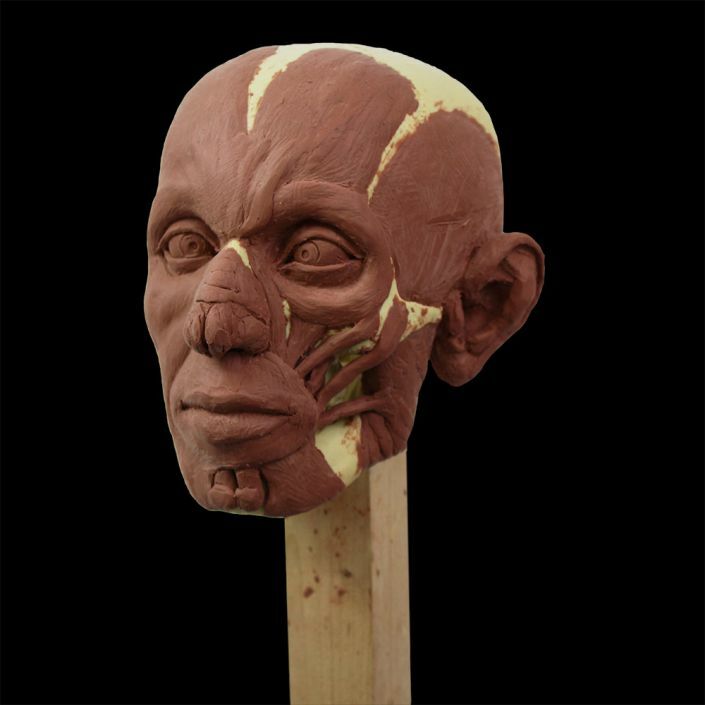 A human skull armature with detachable jaw that can be used as the basis for portrait or anatomical sculpture studies. 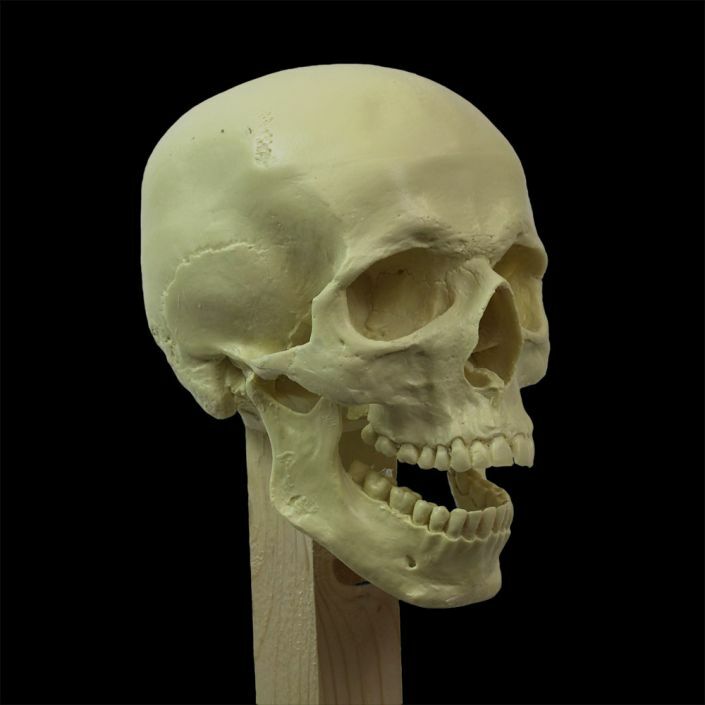 The skull can also be used as the basis for making horror props and FX. 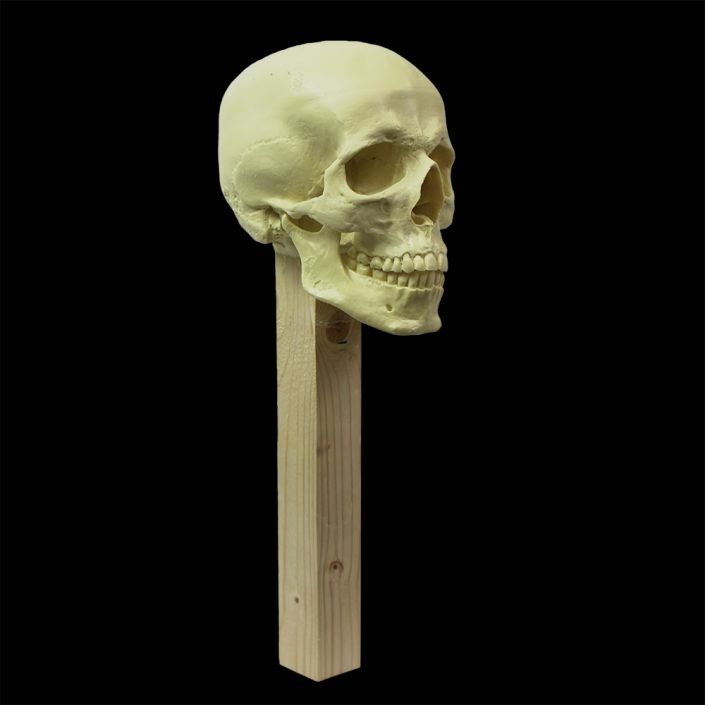 The skull is mounted on a wooden post which can be easily screwed to a base board or clamped to a stand (not included). 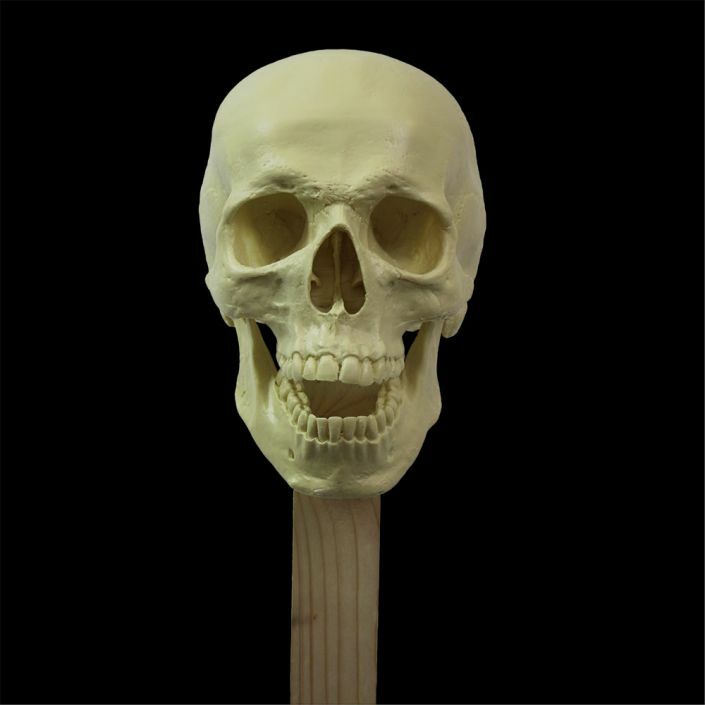 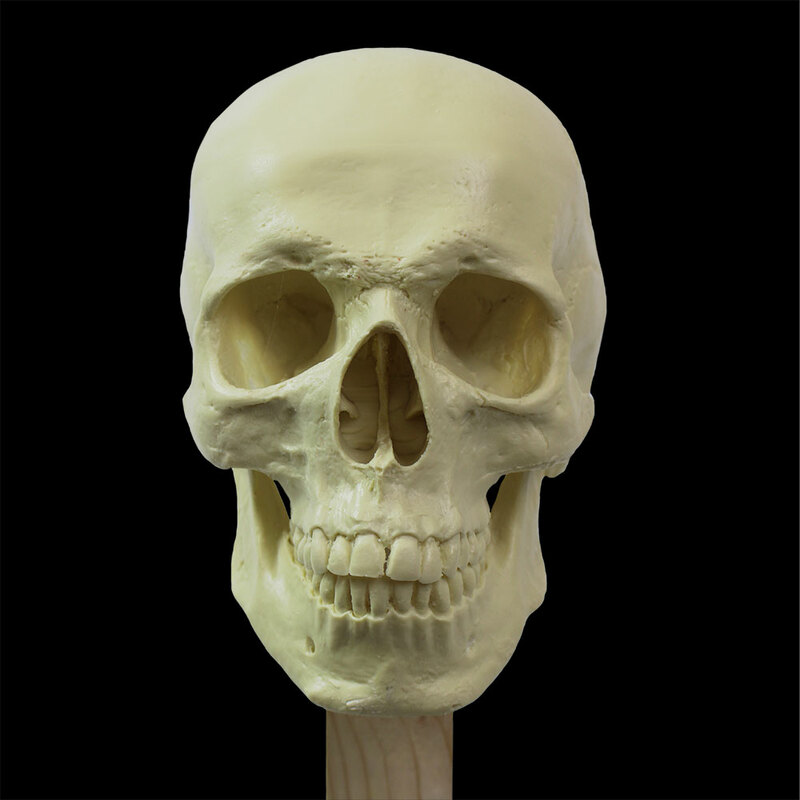 The skull and jaw are cast in a rigid Polyurethane resin and the skull is hollow cast so its easy to cut and adapt.